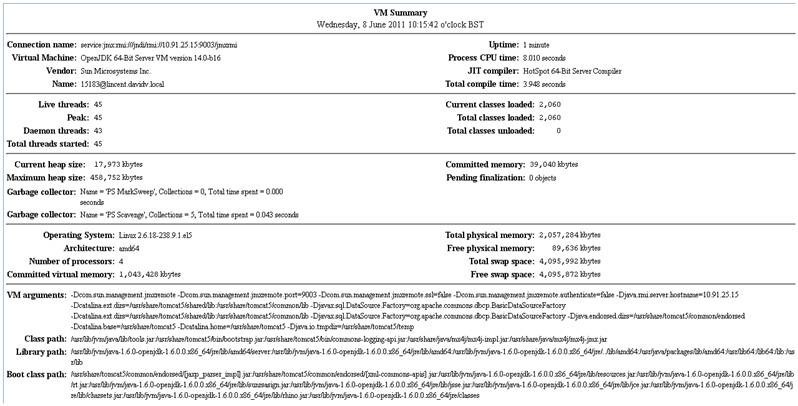 Requirement : monitoring vital Tomcat statistics such as active & idle threads, memory consumption and so on. JMX (java monitoring extensions) is quite well documented – so a google search should bring you up to speed, but in a nutshell, JMX is almost like a java-centric SNMP. Java app developers can make certain attributes such as number of threads used, etc, available via “MBeans” (java-style SNMP OIDs). So this lends itself quite well to monitoring. 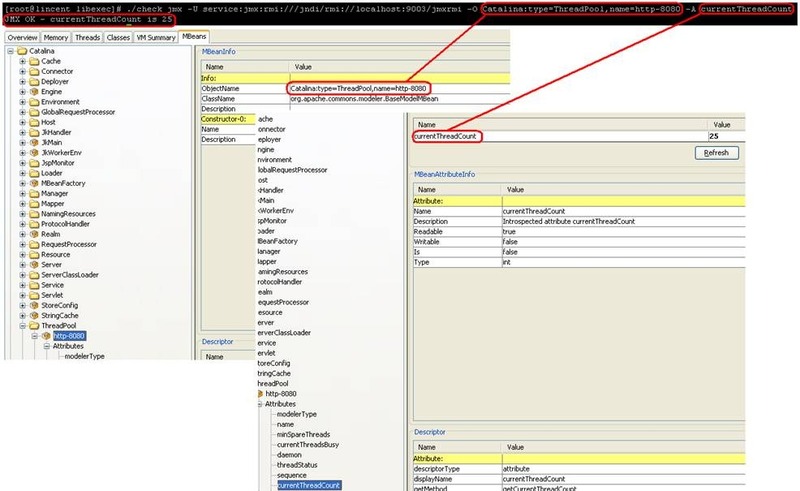 – Make sure the file jmxremote.password exists in $JAVA_HOME/jre/lib/management – Edit the password file to set the password, even if (as above) authentication is actually disabled. – SYSTEM is the default owner of java process in Windows environment. 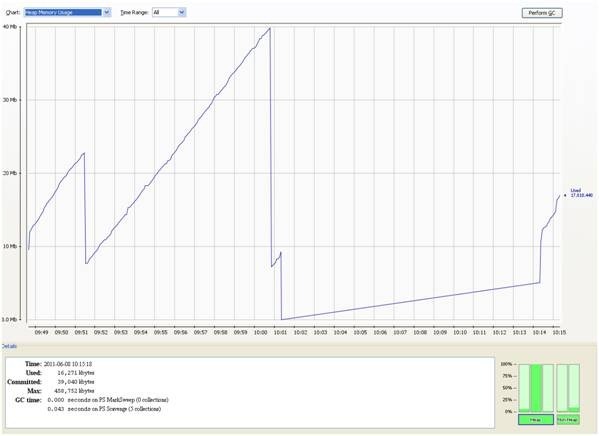 – note : the above script does not yet support outputting perfmon data for nagios graphing. I’ll post an add-on script in my next post. – note on troubleshooting: if after following all instructions the check_jmx plugin returns “no route to host” , check the /etc/hosts file on the tomcat server to make sure you have the correct IP to hostname mapping for the server. – enter the ip and port of the tomcat server to monitor. Hi The above document is very good and helpful. Thanks first. I have one small thing to mention. The parameter for JMX port should be added in CATALINA_OPTS so that we can avoid port conflict issue while shutting down the Tomcat. The CATALINA_OPTS will not be loaded during shutdown but JAVA_OPTS will be loaded which will throw a error saying the JMX port is in use. Thanks again. Hi, The above script is very good. Can you please tell me is there a way where we can get the connection pool count information as we do for threadpool etc. Please help on this.